With magnificent views towards the Thames and the Chilterns, this Georgian mansion boasts 400 acres of parkland and woodland. Spring brings an ever-changing landscape of colour, including stunning bluebells. Renowned as one of the best places to see bluebells in the country, Blickling offers winding paths through the Great Wood surrounded by swathes of dancing blue flowers. Late April to early May is the best time to visit to see the blue carpet at its best. Built by Cistercian monks over 700 years ago, Buckland Abbey and its estate bears witness to the seafaring adventures of Drake and Grenville, and centuries of farming, estate management and change. 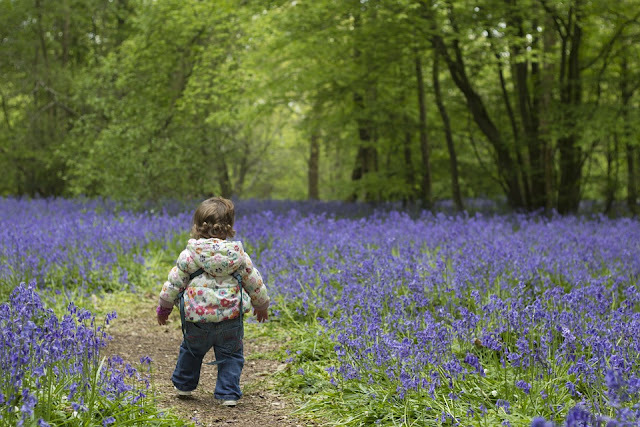 The Great North Wood features carpets of bluebells and other wild flowers. Not just an icon of Welsh history, Dinefwr Park and Castle is also the only designated parkland National Nature Reserve in the whole of Wales. With ancient trees, rare lichen and fungi, and some of the best examples of British wildlife, Dinefwr is the perfect place to explore Carmarthenshire’s beautiful countryside. The bluebells are at their best during May and can be found in the Castle Woods. Situated on a striking clifftop amidst stunning landscape and rugged headland views, the ruined eighteenth-century mansion at Downhill is an awe-inspiring site on the North Coast. The beautiful gardens and stunning coastal walks make it the perfect site for family adventures, especially when the Bishop’s Gate gardens and glen are awash with bluebells. A Cornish gem, Godolphin is rich in both archaeology and wildlife, and features a fine sixteenth-century garden, one of the most important historic gardens in Europe. In the tranquil and mysterious woodland, years of mining have left an unnatural, undulating landscape, while there is a bluebell sea in the far orchard. You can also take a tranquil stroll along the riverbank, and I hear the tea room is a delight. Bluebells are the undisputed spring highlight at Hardcastle Crags where they carpet the woodland. At their peak, usually in May, they form an almost unearthly blue haze through the woodlands and fill the air with their sweet perfume. This wooded landscape is often known as ‘Little Switzerland’ because of the valley sides, pathways and river and in spring the woodland is awash with bluebells. Quintessentially English, Hinton offers acres of ancient woodland surrounding its more traditional landscape. There are stunning avenues of beech carpeted with bluebells, woodland sofas carved from fallen tree trunks, and ample space to picnic and admire the blue. Many people's favourite stately home in the west country, Lanhydrock is the quintessential country house and estate, yet still retains the feel of a family home. With off-road, novice and family cycle trails, beautiful gardens, tranquil riverside paths and ancient woodland, there is something for everyone. 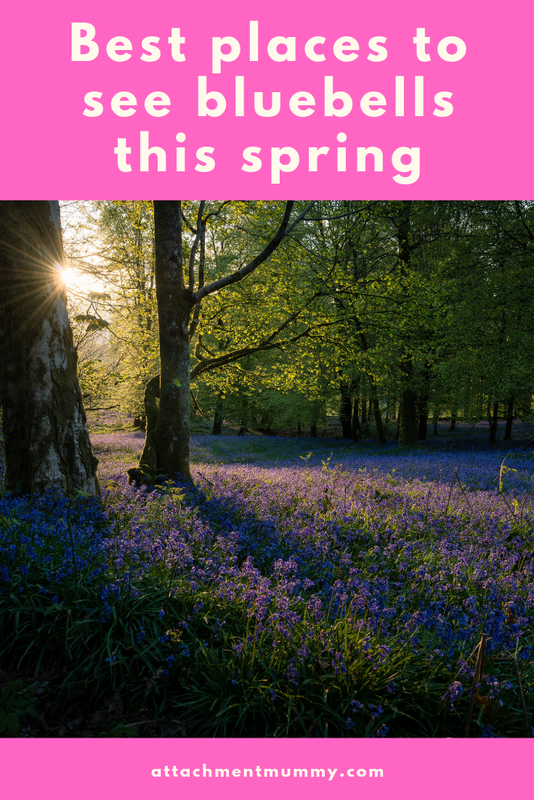 Spring brings waves of daffodils and bluebells in the woodland areas, and a stunning collection of magnolias. The perfect garden for all seasons, Nymans is a gardener's garden but also a wonderful venue for families who can picnic, walk and bluebell spot to their hearts' content. The extensive yet intimate garden surrounds a romantically beautiful house and ruins, and the nearby woodland is a joy to explore. Created by the Messel family in the late nineteenth-century, Nymans is one of the country’s great gardens. One visit won't be enough! As for those bluebells, they are rumoured to bloom patriotically on 23rd April, St George's Day, put a visit in your diary. You need never feel far from nature even a short hop from central London, where Osterley, one of the last surviving country estates in London, offers gardens, park and farmland. 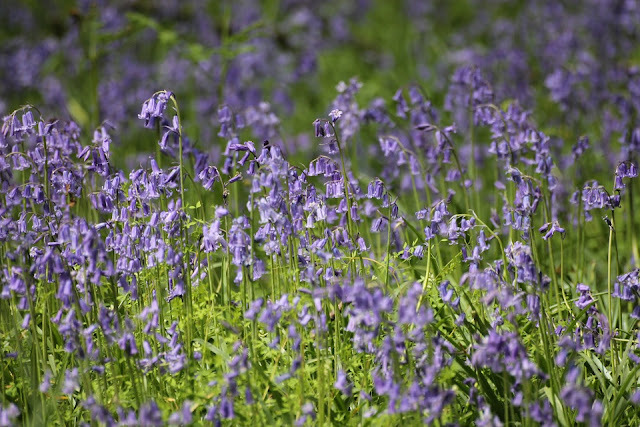 The ancient woodland features true wild bluebells, with their delicate scent, intense blue hue and languid appearance. You can also explore areas of ancient meadow, bursting with wildflowers and butterflies. Rufford Old Hall is set within 14 acres of glorious gardens and woodland, laid out in the style found during the late Victorian and early Edwardian periods. 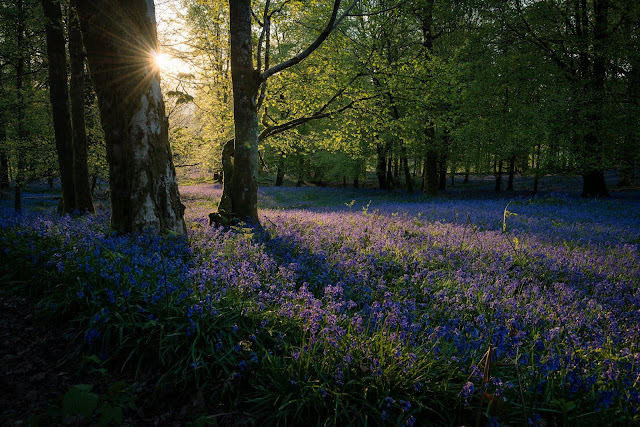 From late April, you can enjoy a walk in the Beech Walk and the North Woods, both awash with a variety of native trees as well as a carpet of bluebells and crocuses. The birthplace of modern democracy, Runnymede's background of picturesque meadows and rolling hills bore witness to the sealing of the Magna Carta 800 years ago. This typically English landscape offers much more than a history lesson. Our native woodland is beautiful on a spring day, with dappled sunlight flickering through the trees, highlighting the sea of bluebells underneath. From the four lakes that form the heart of the garden, paths circulate through glades and wooded areas at this horticultural work of art. Formed by centuries of landscape design, including the influence of 'Capability' Brown and Humphry Repton, Sheffield Park and Garden is a treat. The garden and woodland feature carpets of bluebells in spring, while later the River Ouse flood meadow at the bottom of the estate is filled with wild flowers, butterflies, damselflies and dragonflies. What is there to say about Sissinghurst that hasn't already been said? Spring sees the rich, warm colours of the Cottage Garden come into their own, whilst part of Harold's realm, the Spring Garden or Lime Walk, features long beds of tulips, fritillaries and hyacinths amidst an avenue of pleached limes, scattered with terracotta pots. 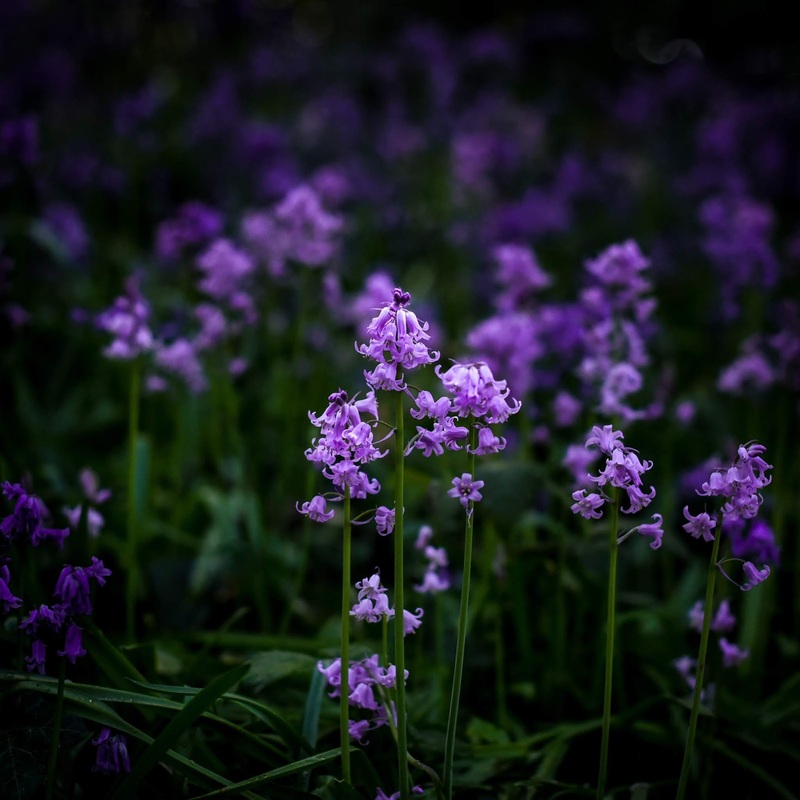 In the woodland, bluebells and wildflowers offer a strong contrast to the more formally arranged areas. The largest sea lough in the British Isles, Strangford Lough is a unique and wonderful place of immense international importance for nature conservation. Nugent’s Wood, at Portaferry, is one of the last refuges for the native red squirrel and is the perfect place for discovering bluebells in springtime. 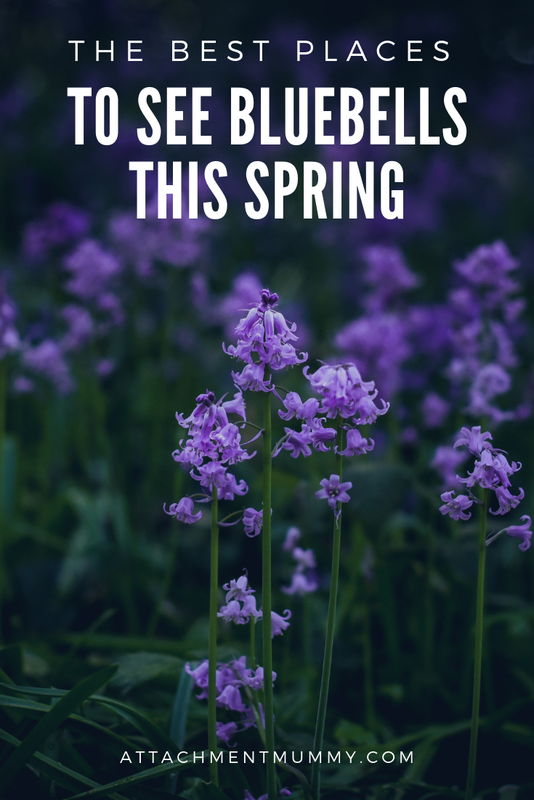 Where will you be heading to see bluebells this spring? Rufford Old Hall ! havent been in years - better get my skates on and get over there .. I love bluebells. we have a country park close to us that is beautiful in the Spring when all the bluebells are out.